Blackpool-based Supernatural Events was originally set up on Halloween 2006 for a one-off Ghost Tour at Blackpool's Grand Theatre to help raise funds for the theatre’s restoration. The tour was a sell-out. More tours were quickly arranged to meet the requests of those who wanted to explore the theatre’s dark corners. These tours became so popular that more locations were added including Blackpool Zoo, Blackpool Opera House, the Winter Gardens complex, Blackpool North Pier Theatre, Louis Tussaud’s Waxworks, Blackpool Illuminations Depot, Blackpool Tower Ballroom, Lowther Pavilion, Lytham, and Pleasure Beach Resort, Blackpool. 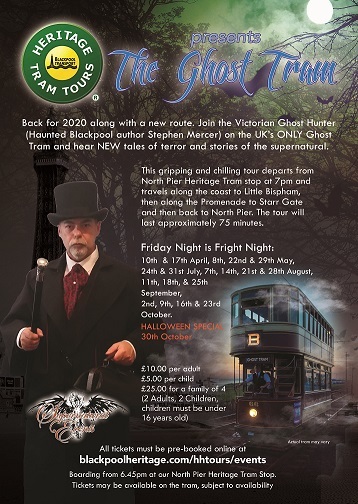 In March 2009 Supernatural Events was awarded the Blackpool Tourism Business in Excellence Award for Marketing and Innovation and in 2010 was shortlisted in two categories; Best Night Time Experience and Best Tourism Experience. 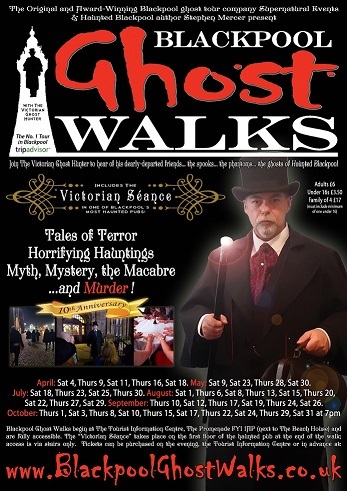 April 2010 saw the introduction of a new thrilling ghostly experience, Blackpool Ghost Walks. These again became extremely popular and the walks continued every Saturday and Sunday evening throughout the summer and the famous Illuminations period. 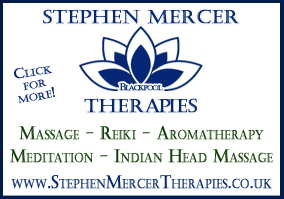 During summer 2010 Stephen Mercer, the founder of Supernatural Events, was approached to write a book on the ghosts of Blackpool. After much research and writing, Haunted Blackpool was published by The History Press in September 2011. The company has also presented many special events including the exclusive An Audience with Derek Acorah, What is a Ghost? with Richard Felix of Most Haunted fame, Clairvoyant Evenings, Hallowe'en on Pendle Hill, Coach Trips to Derby Gaol, Lancaster Castle and Samlesbury Hall, and Overnight Ghost Walks with psychic medium Ian Lawman of television’s Living With The Dead, Most Haunted and I’m Famous and Frightened. Supernatural Events continues to be at the forefront of ghostly experiences in Blackpool and its surrounds and Halloween 2016 sees the “creepy” company celebrate it’s tenth birthday.